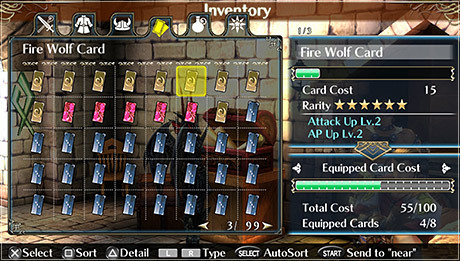 Ragnarok Odyssey ACE adds a slew of new quests and story events on top of Ragnarok Odyssey’s already-robust content. 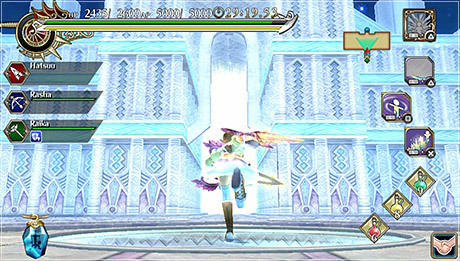 In addition to the original game’s lengthy main quest line and bonus missions, ACE introduces the enormous Tower of Yggdrasil, each floor of which has a life of its own. The tower contains not only brick and mortar, but entire new landscapes, from overgrown ruins to the hellish depths of Niflheim. All in all, the tower contains a whopping 400 floors – 200 going up and 200 going down – more than enough to keep any Giant-Slayer satisfied for a very long time. Of course, the rest of the Sundered Land is every bit as vibrant and perilous as it ever was. The serene pastures of Ifing River, the fiery pits of Thor’s Volcano and the abandoned library of Freyja’s Upturned Pinnacle are all brimming with monsters and treasure, waiting to challenge the brave and the mighty. Single-player mode can test seasoned veterans, but multiplayer ramps up the difficulty even further. Fight with up to four players in your party, or the most grizzled war veterans can accept the additional difficulty solo. Taking on multiplayer difficulty with a single warrior will produce better rewards as special components can be gathered to further customize your weapons and clothing stats. ACE also introduces a slew of able mercenaries to assist a single player in a pinch. Those seeking a party for their single-player adventures can now hire allies of their choosing from within the game. These fearsome warriors come in all job types, male and female, and advance in skill and power throughout the story. Whether a player seeks a stalwart companion or a meat shield, these soldiers of fortune are ready to fit the bill. After selecting your initial job class, you will learn all the strengths and weaknesses of that class throughout the first couple chapters, but you will later gain the ability to switch job classes. Sword Warrior, Hunter, Mage - whichever suits your style will be available to experiment with soon enough. Will you settle into immense power as a Hammersmith, or is a fast-paced Assassin more your speed? Customize not only your job class, but also how dashing you look when you battle for Rune Midgard, as a mercenary must always look their intimidating best. Your weapons and clothing are great on their own, but there are many components out there in the wild that can make them even better. Defeat monsters and smash open abandoned carts full of stock in order to find rare and valuable items that can not only upgrade weapons and clothing, but potentially create new ones altogether as the story progresses. ACE introduces the new Halomonas weapons, magical creations designed to grow and change with their wielders. By completing custom orders, players can grow their Halomonas weapons as they see fit. Cards containing the portraits of the beasts you defeat are equippable - raise your HP, AP, Strength, Defense, Elemental Resistance, Elemental Proficiency and more. The more refined your armor is, the larger your card capacity. Certain cards are always available in the shop, but many more are yours for the taking if you can wrest them away from the strongest monsters in the wild. ACE offers over 100 new cards. Many of them can only be found in the Tower of Yggdrasil, and must be torn from the Tower’s new and formidable creatures. Bring those creatures down, and witness all-new combinations and customizations of skills and powers. While every job class has their own unique series of abilities, there are some basic concepts they share. Even basic attacks can give birth to incredible combos, each one flashier than the last. Depending on your job class and “tension level,” or enemy susceptibility to special attacks, you might find yourself flinging enemies across the field or rendering them completely vulnerable to a sky-high assault. 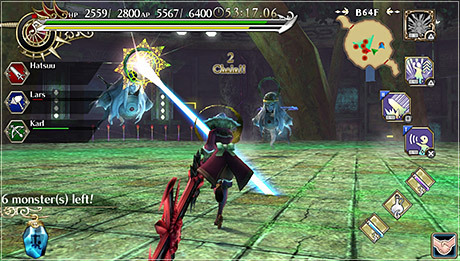 As you fight, a red gauge near your HP and AP will build. Once it’s filled, you can activate it either via buttons or by tapping the screen (touchscreen) and go wild! 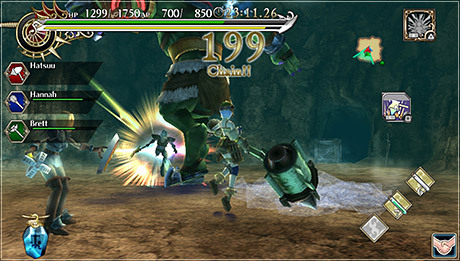 Enemies are open to critical hits while you’re in this mode, but in exchange for power, your health will steadily drop. Conversely, while in this mode, every hit you land will restore a bit of health; be sure to take advantage of that. As you scale the Tower of Yggdrasil, certain challenges will appear along the way. Complete those challenges to enter “Valhalla Mode,” which grants you stronger stats and extra quest time. Enter Valhalla Mode repeatedly to enter the even more powerful “Ragnarok Mode,” which improves enemies’ drop rates, generating tons of valuable loot! All classes can carry an inventory of various potions and boosters to help you on your quest. 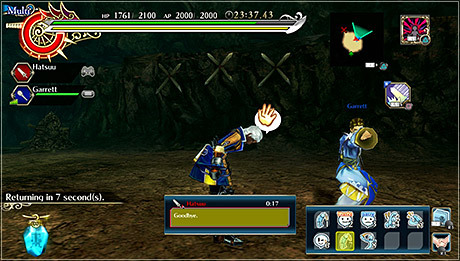 Use a handy button combination to access them while in a fight, or simply tap the potion icons on the screen (touchscreen) for easy access to one of 3 pre-set items of your choosing (PS®Vita system version only). While handy, keep in mind that all items can be carried in limited number, and the more useful they are, the less you can hold, so use them wisely. 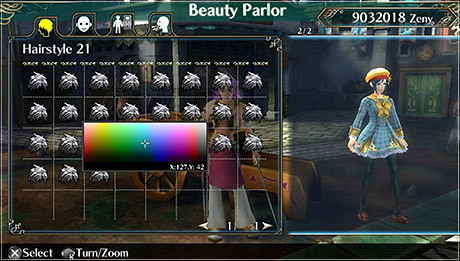 ACE includes many new headpieces, outfits, and items to better equip you for the challenges ahead. 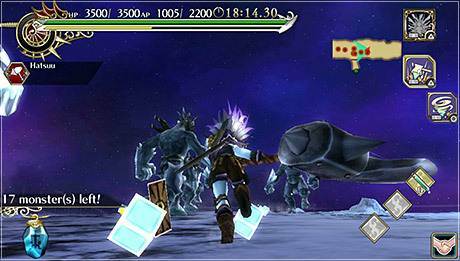 Some classes, such as the Sword Warrior, can guard against certain enemy abilities, while classes like the Hammersmith sacrifice the extra defense in exchange for the power to knock a monster clear off the screen. Battle nose-to-nose with various beasts with the fast-paced moves of an Assassin or the blunt blows of a Cleric. If you prefer a bit of distance, perhaps a Mage that can fight with a flurry of elemental spells or a Hunter that can keep their cool with a set of arrows might suit you more. Experiment and find the job that suits you best. 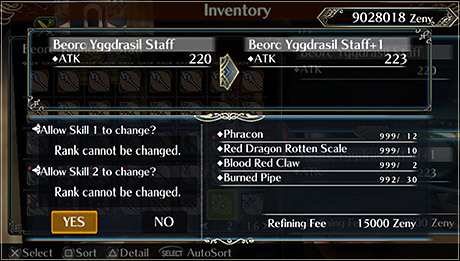 In ACE, each job class now has new specific ACE Skills, designed to enhance both single-player performance and the job’s role in a full-fledged party. See the “Job Classes” section for more information. 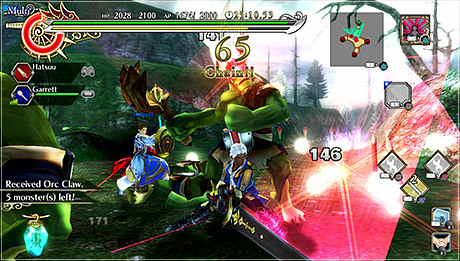 Ragnarok Odyssey ACE is the first Ragnarok game to appear on both the PS Vita and PS3. Because of that, it includes cross-play between the two versions. 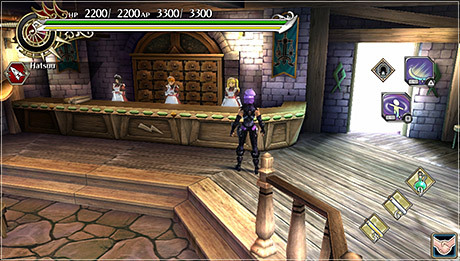 No extra steps are necessary to set up a cross-play session; once you’ve played through the first few quests and unlocked multiplayer, just head for the tavern, choose Online Multiplayer, and you’ll be able to search for players and rooms across both platforms, regardless of which platform you’re on. 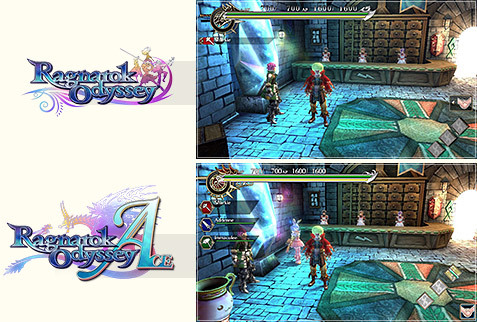 Ragnarok Odyssey ACE includes a plethora of new content, some of which comes into play early on and grows with your character. For that reason, newcomers and series veterans alike will experience the story from the start – but that doesn’t mean those veterans will come unprepared or unrecognized. 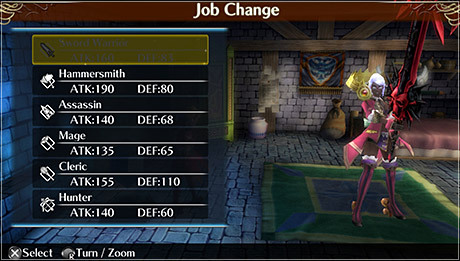 Players of the original Ragnarok Odyssey will be able to transfer their characters’ basic physical features, such as name, face, and job class (but not clothing), as well as their weapon and monster cards. 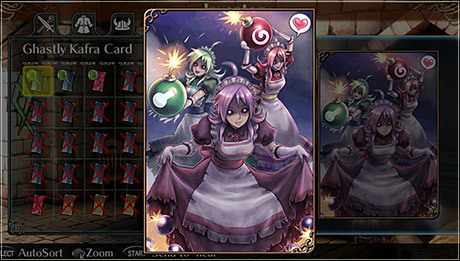 (Note: Cards equipped to clothing or acquired via NEAR will not transfer over.) Any additional DLC acquired can also be transferred by re-downloading it from PlayStation®Store.